Hey guys! I'm sorry to disappoint you but I'm not going to publish some codes today. 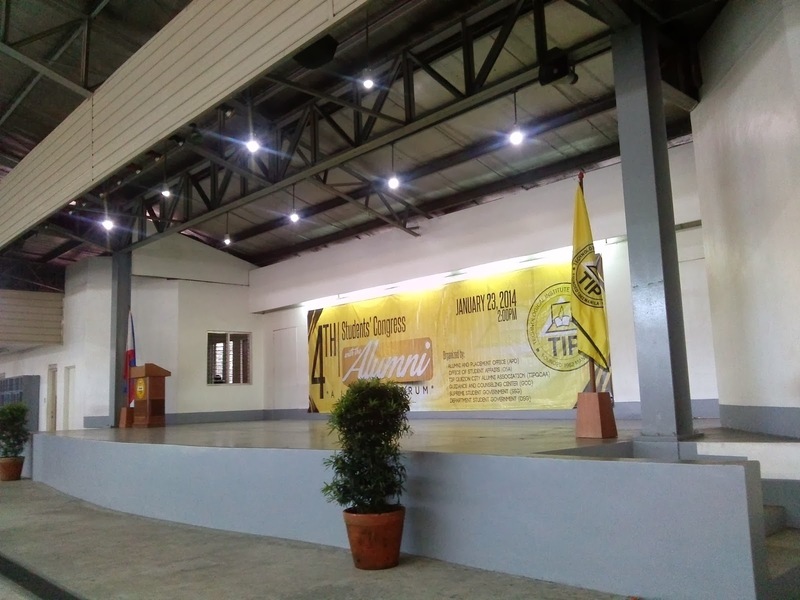 I was invited to be a guest speaker at our institute's student congress with the alumni - for the second time. 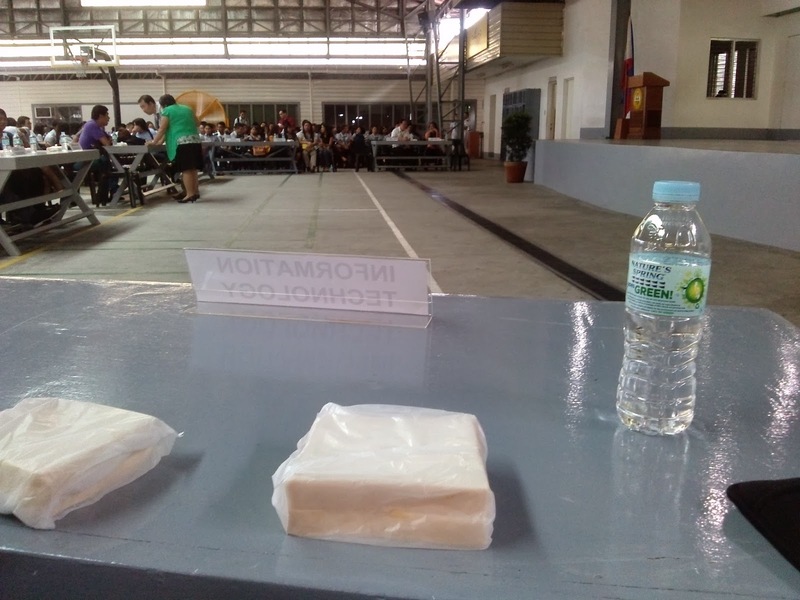 It was held yesterday, January 23, 2014 in the Technological Institute of the Philippines, QC. Today I'm going to share this code I used to generate a JSON string with data from MySQL database. For those not yet familiar, JSON is a lightweight data interchange format (like XML but it is lightweight). It has been used by companies like Google and Facebook in their APIs. Recently, I needed a JSON string to get data from the web to the Android app I'm working on. The PHP file gets a parameter company_id to select few data related to a company. Please note that this is not a production ready code, but is very useful to get you started and can serve as quick reference. 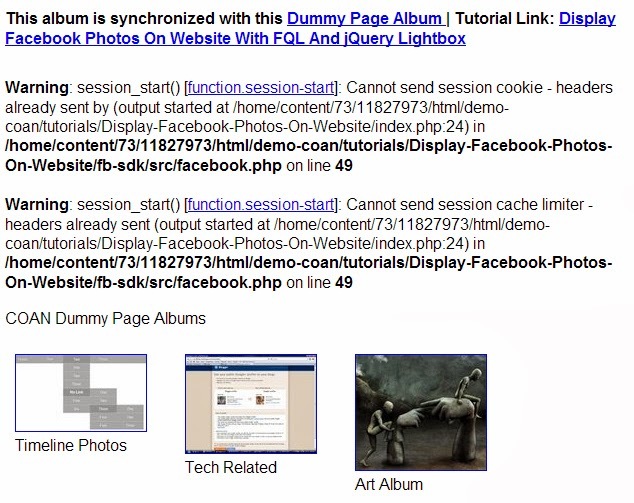 This post is supposed to be a quick-tip on how you can optimize your images for web pages. But it feels like I also want to give some thoughts about website speed. There are many websites saying that your images must be optimized for the web, that should be updated and say, "your images must be optimized for web and mobile devices" in which the amazing Adobe Photoshop can help us with. Hi guys! Below are twelve of the jQuery related questions and answers on StackOverflow that I found very useful during development. I opted to compile them here because I feel good reading those brilliant questions and answers by coders from around the world. Enjoy! How would I know if an element is hidden? Sometimes you want some elements of your page to be visible, and if it is not visible, you want to tell the user about it. For example, a user must have a selection of data first before proceeding to new operation. If he has no selection (div is hidden), you can do a prompt that he must select something. How do I get selected text in select box? Ah, a drop-down list? 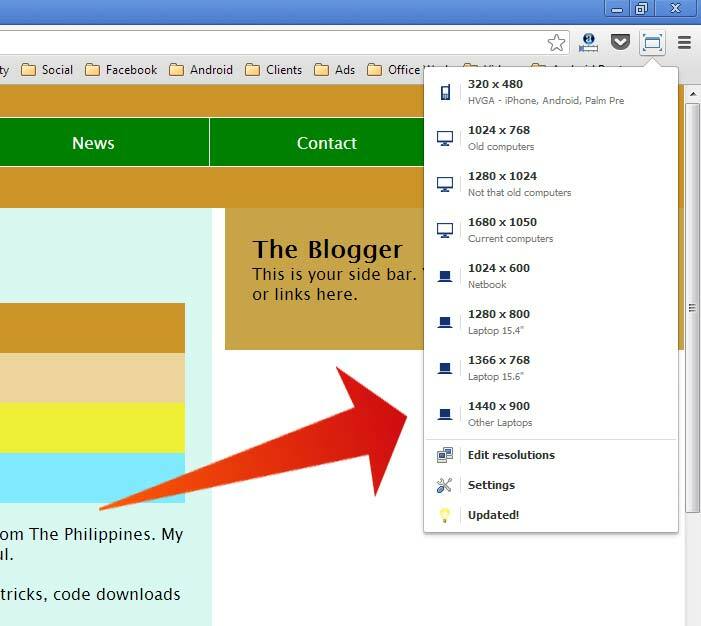 Link # 2 above shows you how to get the user drop down list selection. How to redirect a page? How would I know if a checkbox is checked or unchecked? How to select a child element? Teaches us how to select a child element and do it with faster performance (see the comment by Paul Irish). I use return false; when I want to prevent a page refresh after clicking a submit button and doing an AJAX request. Example of using jQuery .closest() method. I use jQuery .closest() method on selecting an element within a table with several rows. I probably have to write an example in another blog post, ha! How would I know the existence of an element? How would I know which radio button is selected? This is how you will know if a user is a male or female, using jQuery! How to select multiple classes? Sometimes you want to to something to multiple classes at once. There’s another example here. How to select an element by its name, not by class or id? If you’re more familiar with an element’s name or don’t want to add a class or id name, you can use this cool technique. What if Google hosted jQuery is blocked? In some countries, Google’s domain name is banned. So if you are using a Google hosted jQuery library, you’re site won’t work. Link # 12 above shows you the fall back. This can be the first part of the list, you can add more in the comments section below, or on our Facebook, Twitter or Google+! And as always, thanks for reading! If none of them worked, you can read more here. In almost every website we see today, there are links to their social media accounts. I think it is a standard now. It’s like, you’re not cool if you don’t have a Facebook and Twitter account! Recently, I was using Google drive to host my CSS and image files. Now, I removed it. Why? Because Google drive slows down my website! 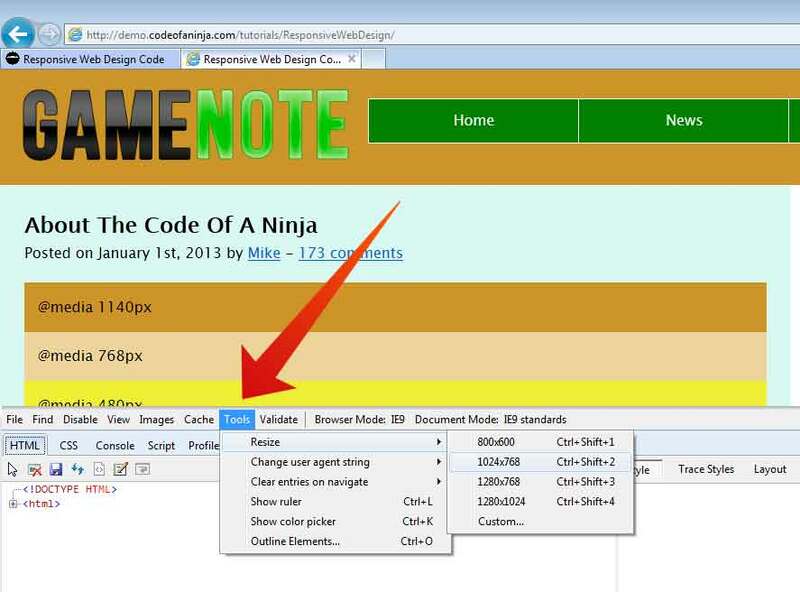 During the use of Google drive hosted CSS and images, the average load time of this wesbite is around 10-20 seconds for new visitors. After I removed it, it is now around less than 5 seconds! I think the icons I made are so cute that I thought of sharing it to you guys (I appreciate a tweet, like or +1 before you use it!). It loads fast, contains few lines of CSS and HTML code, and it doesn’t use any images! Here’s how I did it, below are the CSS and HTML code I used. And… that’s how I created my new social media icons using CSS! Hi guys! Today we have a guest post from Marykris de Leon, you can find more about her at the end of the post, please read below! Hello geeks! This is a quick guide on how you can test your responsive website without actual gadgets or devices. I personally recommend these tools for testing on devices such as smartphones, laptops, tablets, and TVs. We are going to have two categories: Browser Extensions and Online Tools. 1. 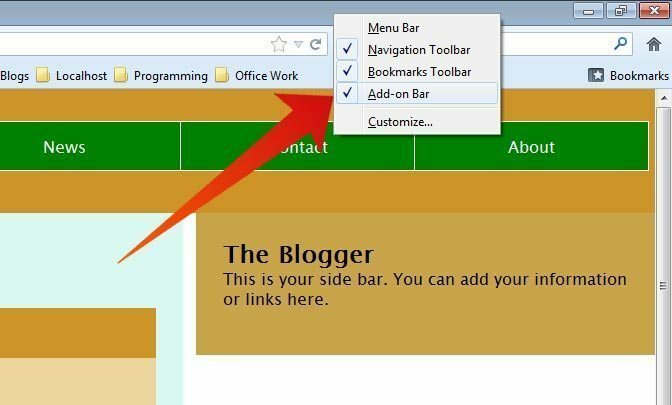 Internet Explorer – You should have Microsoft Internet Explorer Developer Toolbar which can be downloaded on this link: Internet Explorer Developer Toolbar. After installing, you have to press F12 on your keyboard to use this tool. Enable Add-on bar for Firesizer. 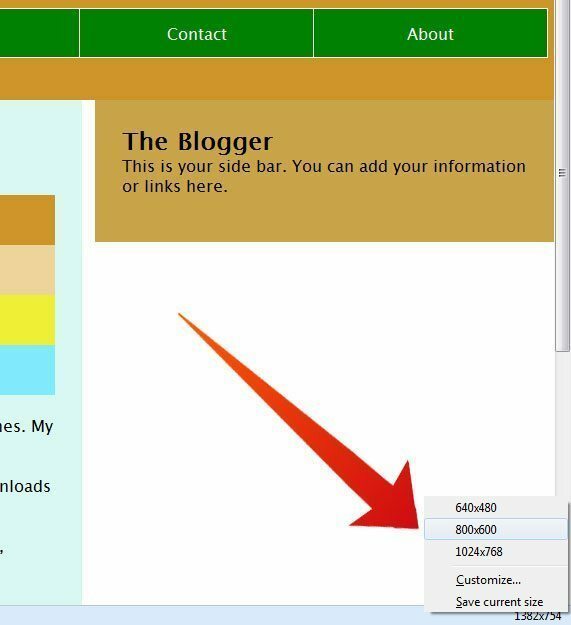 Then on the add-on bar look for the Firesizer function which is located on the lower right corner of Firefox, you have to right click to customize the sizes. You may also try Responsive Design View on Firefox > Web Developer > Responsive Web Design or Ctrl + Shift + M for keyboard shortcut. Firefox Responsive Web Design View. 1. 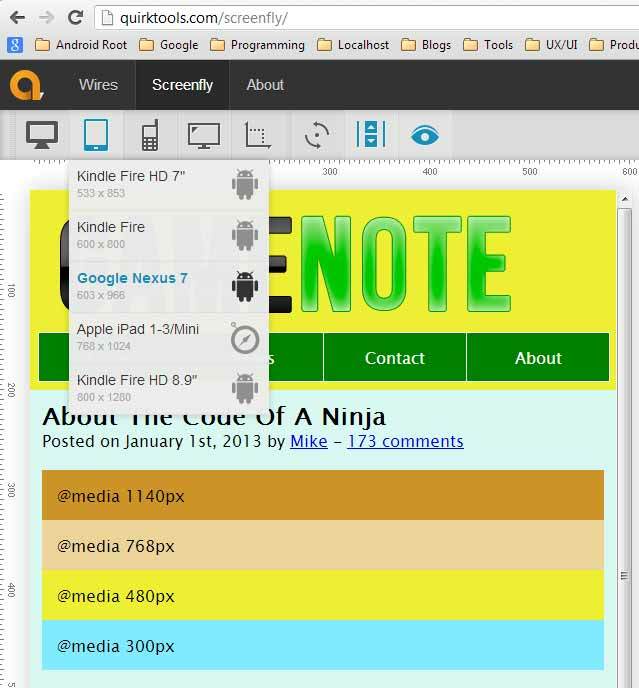 Screenfly – Allows you to enter your website URL and gives you many view options for testing such as Netbooks, Desktop, Kindle Fire, iPad 1-3/Mini, Nexus 7, Motorola Razr, Blackberry, LG optimus, Galaxy SIII, iPhones, and Television views (480p, 720p, 1080p). It also allows you to specify custom screen size and rotate the screen view. This is my favorite online testing tool. 2. Responsinator – Also allows you to enter your website URL (located on the upper left corner) and gives you the available views in one load which is kinda fast and convenient, you just have to scroll down. The available views is limited to iPhone (3,4,5), iPad, Kindle, and Samsung Galaxy. All has portrait and landscape mode. 3. Responsivetest- Also allows you to enter your responsive website URL (located on the upper left corner) and loads the view one at a time, depends on your device selection. Screens are limited to XGA, WXGA, iPad, Kindle Fire, iPhone and Android phones (320 x 240 and 515 x 295), also has landscape and portrait mode. 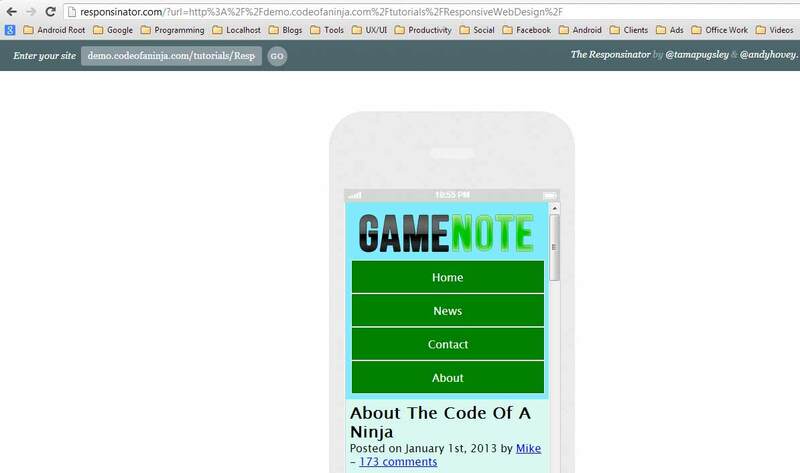 By the way, the example website we used in this post is this responsive web design live demo. 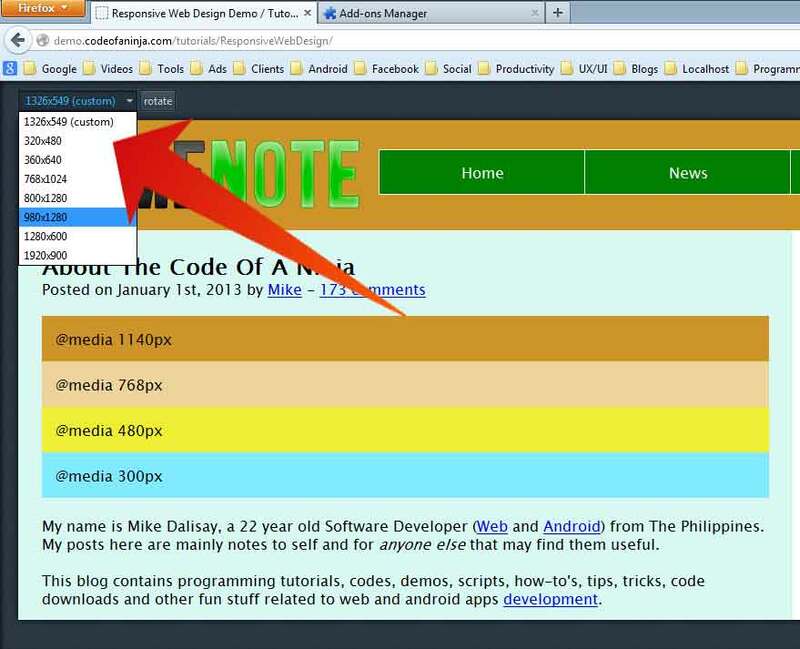 The tutorial for coding a responsive website can be found here: Coding A Responsive Website Design. How To Get Facebook App ID and Secret Keys? 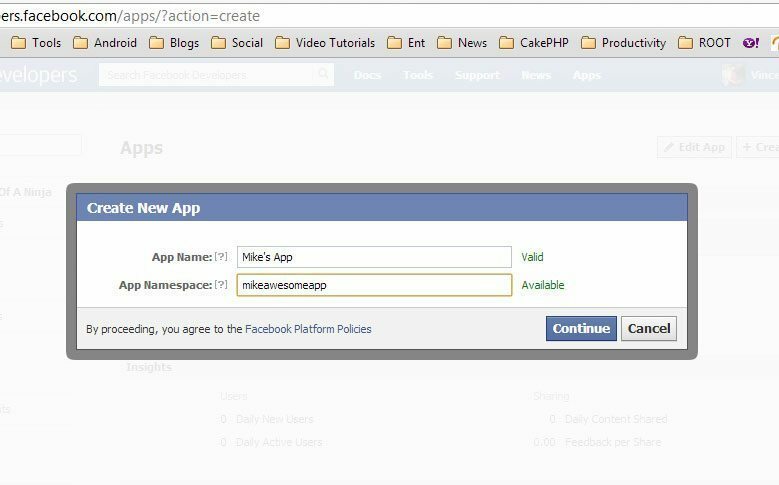 After creating a Facebook page where we will pull our data, we have to create an app to get an appId and appSecret keys. 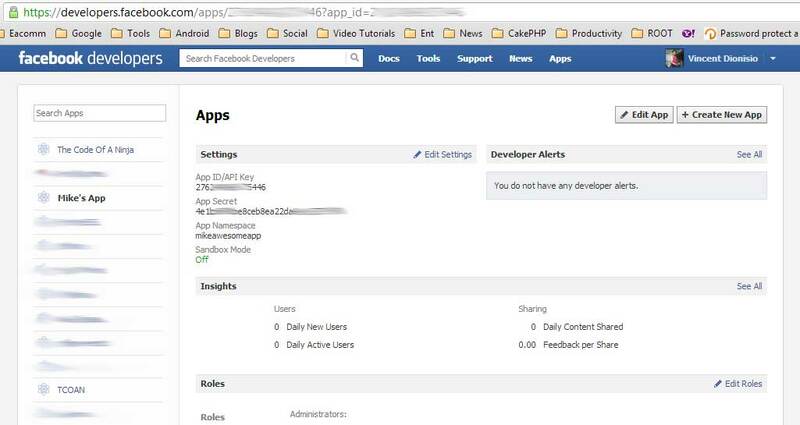 Those keys are required to use the Facebook PHP SDK and do our queries like pulling Facebook photos, events, videos, and feeds. Here’s a step by step tutorial on how to get those keys. 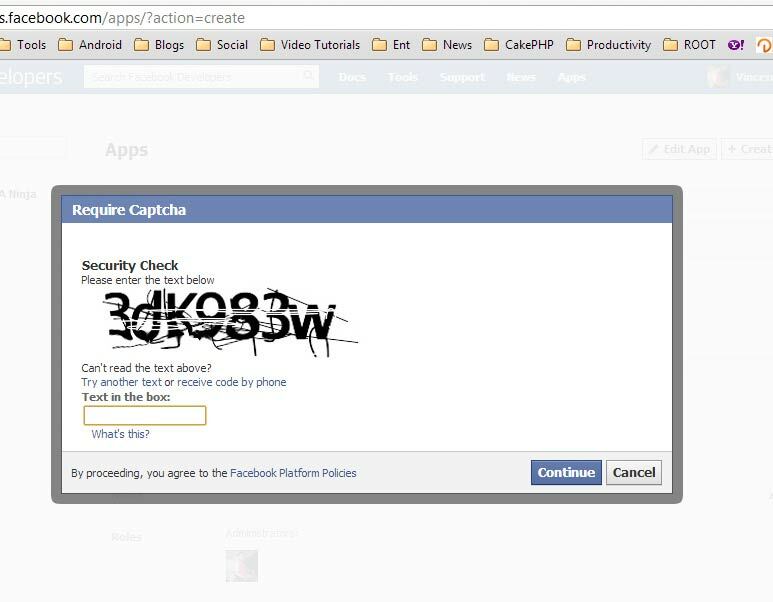 You’ll be asked to enter a security code to verify that you’re a human and not a bot or malware that creates random Facebook apps. After entering the text in the box, click the “Continue” button. Congrats! now you can copy your Facebook appId and appSecret. See the arrows below. 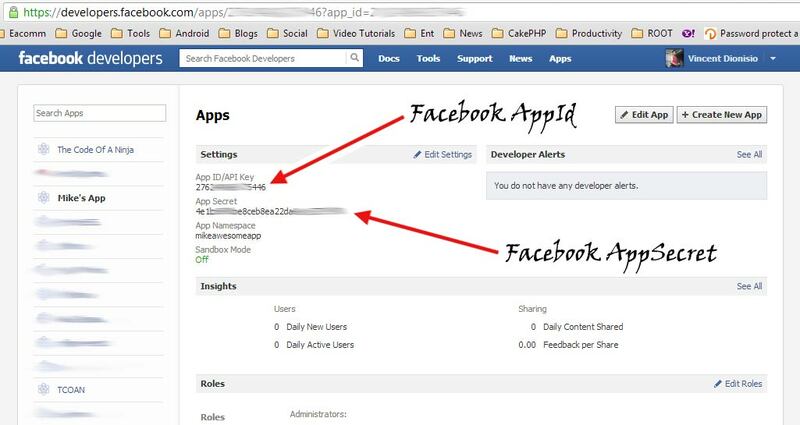 Your Facebook appId and appSecret keys. Replace YOUR_APP_ID and YOUR_APP_SECRET with your own and run the link on the browser. https://www.codeofaninja.com/wp-content/uploads/2019/03/codeofaninja-with-text-3-1030x206.png 0 0 Mike Dalisay https://www.codeofaninja.com/wp-content/uploads/2019/03/codeofaninja-with-text-3-1030x206.png Mike Dalisay2013-02-28 01:24:002017-05-27 08:08:44How To Get Facebook App ID and Secret Keys? Chairman and CEO, Facebook, Inc. Learn the basics of web programming. How to Run a PHP Script? Start something awesome with PHP! Welcome to the new world of web development! Scripts that will help you build a web app. More code examples that can be useful for you! If you want to display social media feeds on your website, we know how to do it. 1. You learned a lot from our valuable web programming tutorials. 2. You will learn more because we constantly update each tutorial. 3. You will get FREE email updates once a week, if you subscribe. Our website contains free web programming tutorials by Mike Dalisay. © 2010-2019 The Code Of A Ninja by Mike Dalisay. All rights reserved. Images, logos, marks or names mentioned herein are the property of their respective owners.